Devon Cars are your local minicab provider. We are located at 20mins driving distance from Wembley stadium, giving you the best prices in town. At Devon Cars we believe in offering great value fares to all our customers. We would not wish for you to be wasting money on over expensive minicabs in Wembley or in surrounding areas. Wembley is best known for its large stadium and arena, however, the village and local area around these two landmarks offer many other attractions to visitors and residents alike. Wembley Arena seats 12,500 people, making it London’s second largest indoor arena after the O2. It has attracted huge names in the music industry, hosting concerts by the likes of The Beatles, David Bowie and U2. It also hosts indoor sport, such as boxing and ice hockey matches. Wembley Stadium is the UK’s largest sports stadium, seating 90,000 spectators. It was famously rebuilt in the early 2000s to include a partially retractable roof and landmark arch. Wembley Stadium has been the venue for many high profile sporting events, including the FA Cup and 2012 Olympic football matches. Other local attractions in Wembley include a diverse range of international cuisine and some fantastic soft play areas for children to enjoy. There are also a large number of green spaces, including Ealing Common and Havers Green. Wembley is well placed if you need to get to the airport, just a stone’s throw away from Devon Cars’ offices in Kilburn. 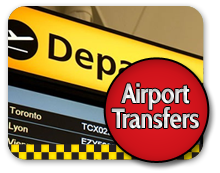 One of our taxis can take you and your luggage to any of the London airports quickly and easily We offer fixed prices for our airport runs, and you can either pre-book a car or call us when you need one. Our free ‘meet and greet’ service at airport terminals offers you extra reassurance after your flight. We run services to all mainline train stations in the London area too, to connect with national and international rail services. 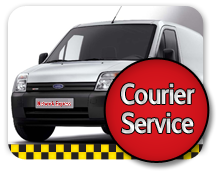 Door to door service - We can get you to and from your hotel at any time, with our 24/7 door-to-door minicabs in Wembley. Need help to visit places or find restaurant in London we can help. There are plenty of great places to visit in Wembley and we would love to get you to them. 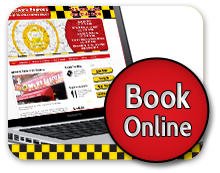 Book a Devon Cars taxi to meet you from your destination and bring you back to Wembley when you are ready to come home. Whether you are a tourist, business visitor or local, Devon Cars offers some of the best rates and customer service in Wembley!